About | Almo Manifold & Tool Co.
Beginning as a tooling company in 1948 it didn’t take long before Almo was building hydraulic marking machines for many automobile suppliers in the Midwest. In 1949, Almo was issued a U.S. Patent for the laminated style manifold which revolutionized the hydraulic manifold industry. Throughout the 50’s, 60’s & 70’s Almo added check, needle, and deceleration valves to Its catalog of fluid power products. 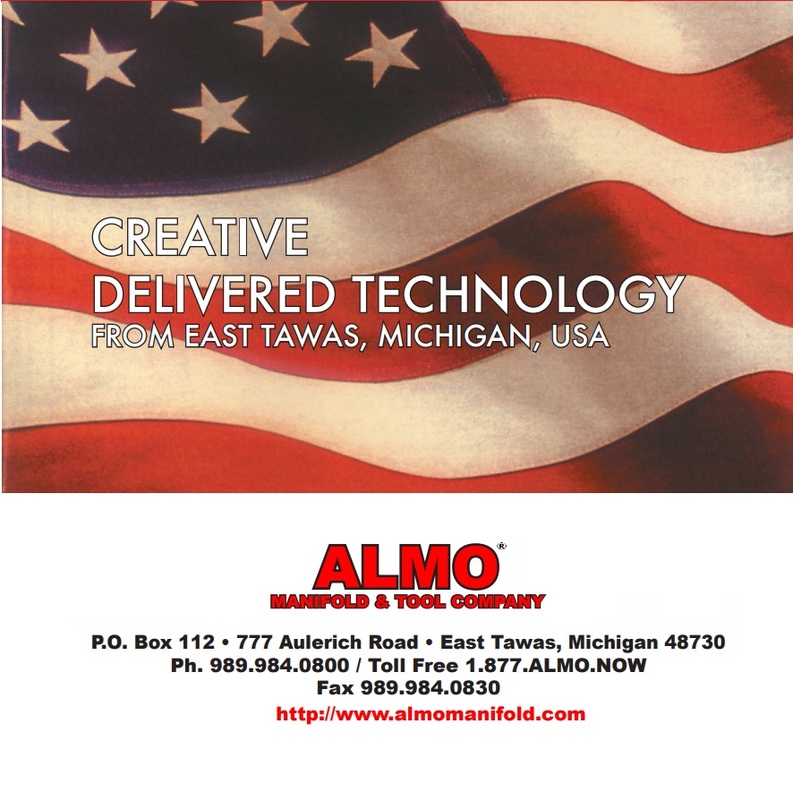 The 80’s saw Almo jumping into the solid block design & manufacturing business incorporating unique high flow angle drilling to compliment their laminated products. The 90’s saw a high growth in the solid block manufacturing and one of the first manifold manufacturers to incorporate ductile iron as the material of choice. During the 2000’s Almo retooled their product line primarily focused on logic poppet valves and cartridge manifold systems. This includes a line of sizes starting from 16mm to 80mm. The 2010’s have seen Almo broaden their line of control covers and safety valves and upgrade our assembly and test facility.